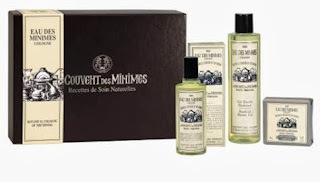 Six exclusive holiday kits featuring Le Couvent Des Minimes’ most beloved formulas and soothing scents inspired by centuries-old therapeutic recipes. 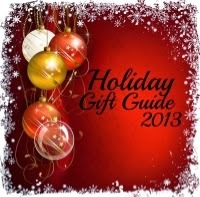 Each gift purchased will also help give back during this season of loving charity. Throughout the year Le Couvent des Minimes donates 1% of total sales to the brand’s historic cause, the Franciscan Missionaries of Mary Association, to support essential health and childhood projects. 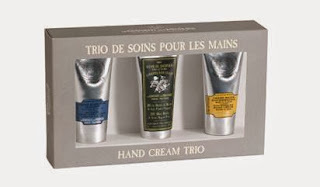 This essential gift sets includes the brand’s most well loved hand creams, including a Honey and Shea infused Nourishing Hand Cream, Lavender and Acacia Extract Soothing Night Hand Cream, and the award winning, best-selling Gardener's Hand Healer with Shea Butter and 7 beneficial plants. Whether you’re tending a garden or navigating modern life, these rich hand care recipes restore overworked hands to their softest, healthiest state with a traditional blend of reparative botanicals. This repairing kit includes the ultra-nourishing Gardener’s Hand Healer Cream, a travel sized Gardener’s Hand Cream to take on the go, and the gentle Exfoliating Cleanser to prep hands to receive moisture. Discover the citrusy freshness of the Botanical Cologne of the Minims Fragrance. Thanks to an original recipe combining three refreshing Citrus Fruits and seven beneficial plants the Botanical Cologne of the Minims invigorates and leaves a refreshing fragrance. 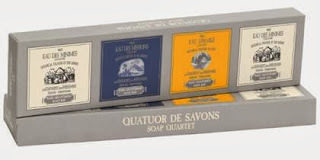 This gift set includes Eau des Minimes Fragrance, Eau des Minimes Soap Bar and luxurious Eau des Minimes Shower Gel. These energizing offerings combine invigorating Verbena with refreshing Lemon for a formula that pays tribute to the ardent work of the inhabitants who brought the convent of Mane to life. This revitalizing gift set includes Gardener's Hand Healer Cream, Energizing Shower Gel in Verbena & Lemon Fragrance, plus Verbena & Lemon Revitalizing Body Lotion. 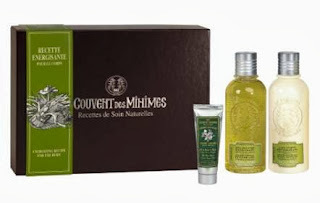 ABOUT LE COUVENT DES MINIMES: 400 years ago, a convent was built in the village of Mane in the South of France to shelter the botanist monks of the Minims, who used their considerable knowledge of plants to tend a garden of curative herbs and flowers. Centuries later, the Franciscan Missionaries of Mary continued the original convention of cultivating beneficial ingredients to help strengthen and restore those in need through food recipes. 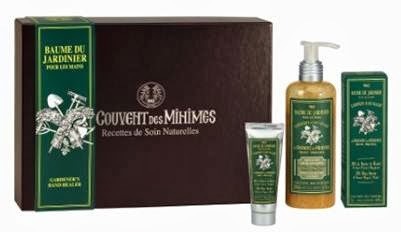 This emphasis on nourishing and reparative care through nature inspired Le Couvent des Minimes’ own simple yet powerful natural care recipes, the basis of a collection of efficacious formulas that draw on the heritage and traditions of the convent of Mane. The rich, plant-based range is formulated with the highest quality botanicals, offering natural skincare solutions in lush fragrances and beautiful textures. 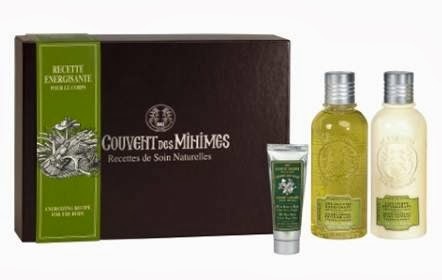 From the monastic heritage of the brand to the garden ingredients it incorporates, Le Couvent des Minimes offers simplicity and authenticity for the modern age.